Type of music: Usually classical, though other styles are also possible. The Blue Engine String Quartet was formed in 1997 as the core ensemble of the Nova Scotia chamber music series, Blue Engine Music. 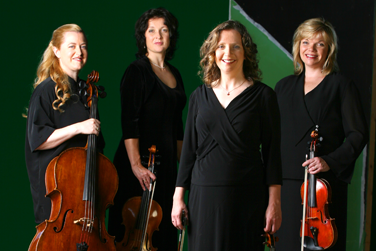 Blue Engine holds true to classical roots, performing many of the masterworks of the string quartet repertoire, as well as contemporary and popular music. They are frequently broadcast on CBC Radio and CBC Television, and have appeared with artists like Michael Bublé, Jill Barber, Meaghan Smith, and Jenn Grant. They have performed for the Governer General of Canada and the Duchess of York.